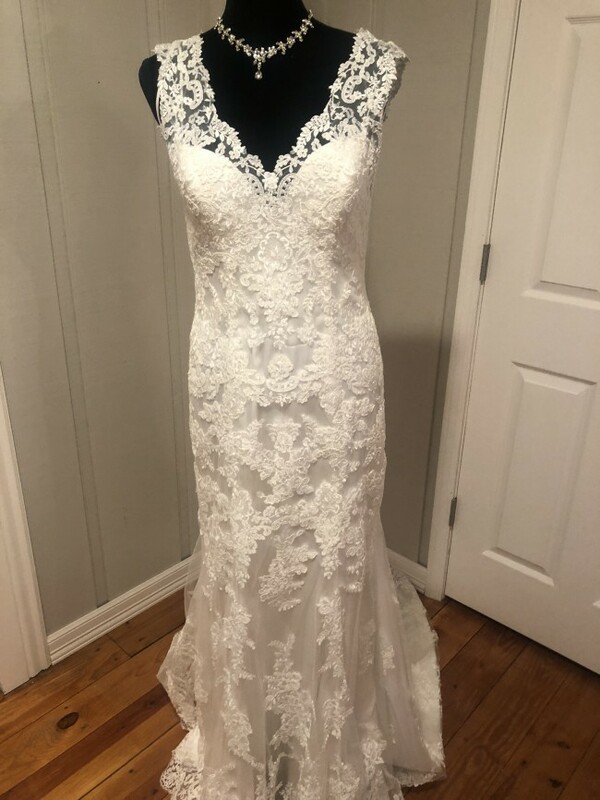 Gorgeous romantic lace Maggie Sottero new gown never worn. Never been altered. Illusion lace back with zipper and satin covered buttons. With sweeping illusion lace train.